The crowdfunding campaign is approaching (read below). Please leave your email! We won’t spam your mailbox, it’s a promise! 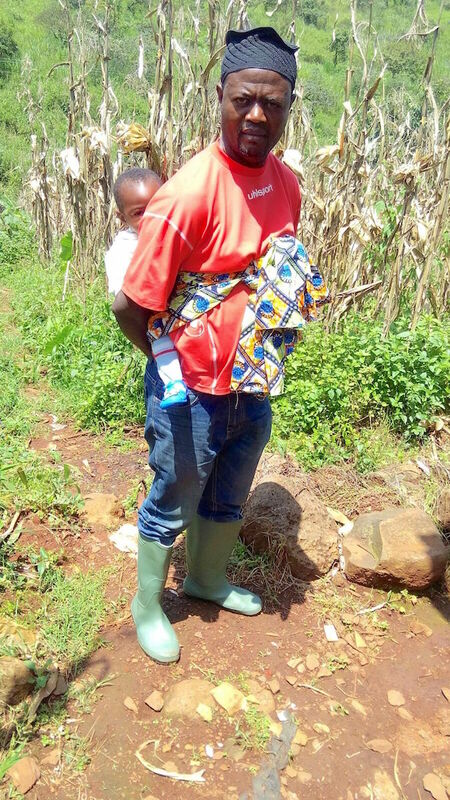 October 2015: Ikom is carrying one of the trainees’ baby while she attends the professional course on pig rearing best practices, School of Agriculture, Polytechnic Bambui. Not an unimportant proof of availability for a man! Ikom Achuo is our project coordinator. He is really doing a great job, showing authentic commitment to the project. His work has increased exponentially, though, and we did not budget for a full-time position for him. Paying him 12 months’ salaries: this is the main goal of our upcoming crowdfunding campaign. Our crowdfunding starts mid-April and aims at collecting $5,300. With this money Lower Fungom children will have one more chance of having a better education experience in their lives!